It may not seem so important at first, but before you write the content of your website it's a very good idea to choose the domain name you're going to use. By domain name we mean the internet address of your website (for example google.com). 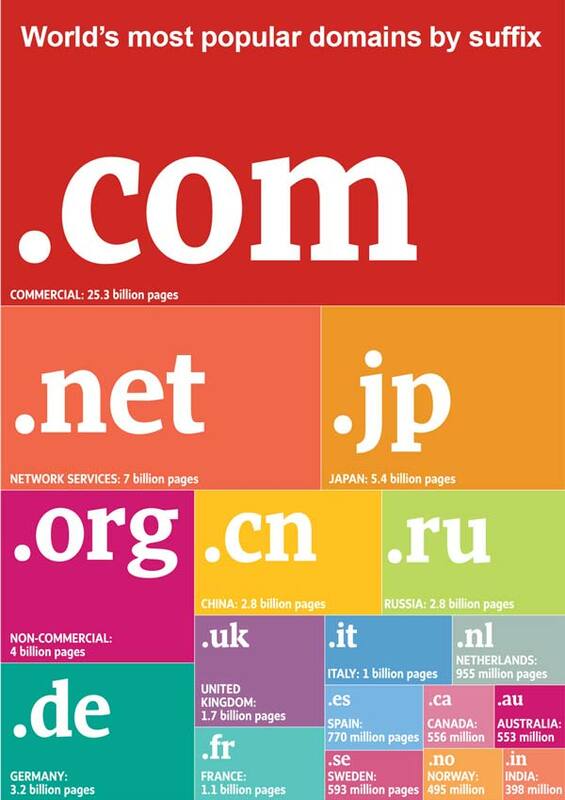 Domain names come in national and international flavours. The suffix .co.uk relates to the United Kingdom, .es to Spain and so on. Then you have .com and the lesser .net/info/org and so on, which are not linked to a particular country. You only need one domain name but if you want to call your site 'english' and you are based in the UK (for example), we suggest you buy both the .com and .co.uk. domains. This should cost you about $25-$30 a year in total, maybe less. There are many places where you can buy an internet domain name, but it's best to stick to the bigger players. Godaddy.com is apparently the largest company in the field, and offer good pricing. Their web hosting seems to receive a lot of criticism but their registry service is well regarded. Finding the exact domain name you want might be simplicity itself, impossible or expensive. It depends. If you want english.com you'll probably find that someone has taken it already. If it hasn't been taken, many of the shorter domain names are purchased by scumbags who then 'auction' them for absurd sums. We believe that even the largest registrars play this game. Still, if you're looking for a longer and more specific name, like richardblackmoreteachesenglish.com you'll almost certainly find it available for about $15. Once you find a name you're happy with, buy it straight away. Don't mess about with minor domain suffixes like .me or .biz and stick with .com .org .net and top-level country codes like .co.uk, .de .es etc. Once you've bought and paid for it, it's yours for as long as you pay the annual fee, even if you never use it. After you choose a domain name, you need to think about how you are going to use the name on your website. Is it the name of your business, or your name? Is this what you want to use as the working title of your website? For example, you may have registered ibs.com but want to call your website the International Book Store. It isn't essential, but it helps if the domain name you use contains some of the 'key words' from your website. For example, this website is called www.englishteacherwebsites.com and the most important words - the keywords - on this website from Google's point of view are 'english' and 'teacher'. A website is an electronic file, or a bunch of files. Every file stored on your computer has a location or address, a place where it sits waiting for you to use it. The same applies for a website - your files need a home on the internet. Your website needs a web host. A web host is a company which stores your website on a computer server which is connected to the internet 24:7. It's as simple as that. Many professional designers include a year's free hosting in the cost of your website, so you shouldn't need to worry about hosting for the first year if you take that route. However, if you plan to create your own site, avoid free hosting! Why? Servers used for 'free hosting' are stuffed with thousands of other sites and are generally slow and frequently unreliable due to overcrowding. Companies offering free hosting will often try to force you to buy paid-for hosting once your website is online. Unless you expect to have thousands of visitors a day, 'shared hosting' is all you need. Deals vary but in most cases shared web hosting will cost you less than £5 a month. You could spend a lifetime researching hosting companies, but there is no such thing as 'the best' and most 'articles' recommending hosting companies are really paid for adverts. Ask your friends who they use. We don't recommend anybody as a rule, but if you're UK based we suggest looking at ezpzhosting.co.uk. Next - DIY or Pro Design?